A video obtained by NBC Connecticut shows GOP gubernatorial candidate Bob Stefanowski's skepticism over allowing the government to mandate vaccinations for children. 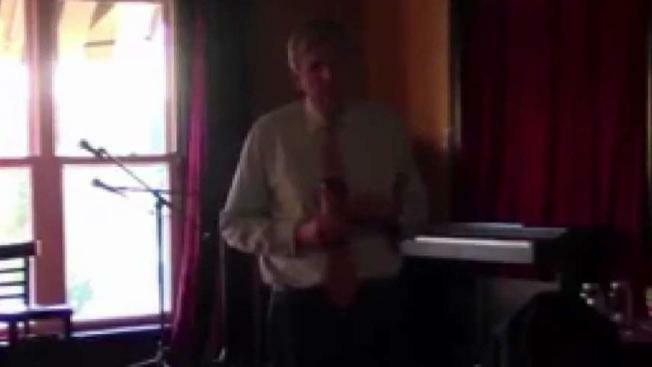 In a grainy video recorded over the summer at a campaign event, Bob Stefanowski, the Republican candidate for governor, shared some of his thoughts on childhood immunization laws. NBC Connecticut obtained the video of Stefanowski from a source working for Democratic campaigns in Connecticut. The video is two minutes long, and it is unknown what is said before or after the two-minute portion on immunization policy. Stefanowski was asked by an audience member at the event, which appears to have been hosted by the Quiet Corner Tea Party, about the state mandating certain immunizations in order for students to attend public school. Connecticut mandates that students receive certain vaccinations at different points in their education. When students are entering pre-kindergarten, kindergarten, and seventh grade, immunizations for ailments like hepatitis, pertussis, tetanus, and meningitis must be completed before the students start classes. There other requirements for different schools and programs. For instance, a flu shot is required for children in daycare facilities and at youth camps, and state colleges require certain immunizations for students planning to live in on-campus housing. The candidate would not commit to any kind of legislation that would change current state immunization policy when he was pressed by the person asking questions about his position. Jerold Duquette, an associate professor of Political Science at Central Connecticut State University, said the existence of the video will not lead to any meaningful conversations about vaccination policy among the candidates running for governor.